CHANGE THE WORLD! MONKEYMAN PROJECT gets ready to invade your ears...with pleasure. The aim is to produce the next videoclip and to do a proper sound masteringof the song, then to produce and broadcast the first album of MONKEYMAN PROJECT, finally to create a live show, to go on tour and to conquer the world. Roughly with 3000 euros we masterise the song and we produce the videoclip. With 10 000 we produce the album and we launch it like a rocket. With 20 000 we produce a breathtaken live show! With 50 000 we produce the French tour. With 100 000 we produce the European tour. With 1 000 000 we produce a world tour with philarmonic orchestra. With 500 000 000 000 we eradicate politics, we send "real pains in the asses" on Mars and we restore heaven on Earth. 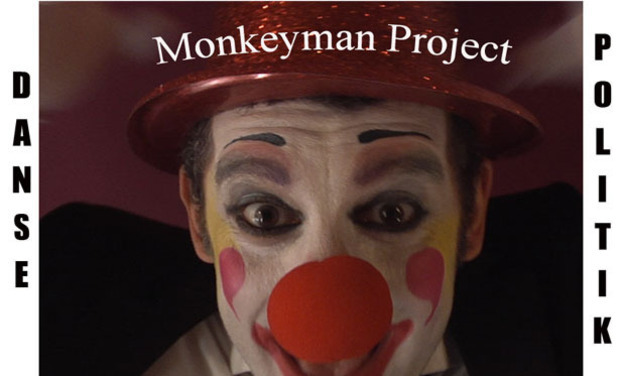 MONKEYMAN PROJECT is a creature born of "Les Singes Savants" who sailed the french stages until 2009. MONKEYMAN PROJECT remixes, tinkers, cooks and creates new songs in preparation of its album. "Electro Monkeyman"
MONKEYMAN PROJECT gets ready to invade your ears...with pleasure. The aim is to produce the next videoclip and to do a proper sound masteringof the song, then to produce and broadcast the first album of MONKEYMAN PROJECT, finally to create a live show, to go on tour and to conquer the world. 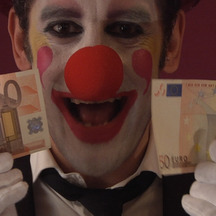 The collected money will be used to masterise the next song and to produce the videoclip which will promote the album. MONKEYMAN PROJECT hopes that the target will be widely outshined to engage directly the next step and give " a strong signal " to the universe. Roughly with 3000 euros we masterise the song and we produce the videoclip. With 10 000 we produce the album and we launch it like a rocket. With 20 000 we produce a breathtaken live show! With 50 000 we produce the French tour. With 100 000 we produce the European tour. With 1 000 000 we produce a world tour with philarmonic orchestra. With 500 000 000 000 we eradicate politics, we send "real pains in the asses" on Mars and we restore heaven on Earth. Notre reconnaissance éternelle, le droit de télécharger le titre en téléchargement gratuit, de visionner le clip des milliers de fois et de le partager avec tous tes amis. Idem que pour 5 mais en plus on te prend comme ami sur facebook et on promet qu'on ne t'enlèvera jamais. Idem qu'avant + Une incroyable sensation de bien être va t'envahir quand tu vas voir ton nom au générique du prochain clip. Tu auras fait le bien. Tu pourras raconter ça à tes petits enfants. idem que pour 2O + reçois un dvd avec les 2 clips directement chez toi! Idem que pour 40 + Une photo dédicacée. La classe! L'un de nous est en couple (in a relationship) avec toi sur facebook pendant une semaine. Tu vas rendre tout le monde jaloux! Idem que pareil et en plus on te donne le nez rouge du mec qui chante! Le vrai! Avec de l'adn de chanteur dedans! Alors là! On te met en playback dans le prochain clip! DINGUE! Tu te filmes en train de chanter par dessus la chanson et on monte les images dans le prochain clip. Ta mère elle va pleurer, c'est sûr. Un showcase privé en webcam et en direct. Chez toi, en pantoufles, au bureau, dans ta bagnole, c'est toi qui décides. Avion+hotel+limousine et champagne pour 2 + showcase en vip à Barcelone.